SQL Is 43 Years Old: 8 Reasons We Still Use It Today — SQL came in as the 2nd most common language in Stack Overflow’s recent survey - remarkable for a language approaching 50 years old. How to Stream Data from Amazon DynamoDB to Amazon Aurora — You might use DynamoDB for rapidly ingesting high-velocity data but then want to replicate it into Aurora for longer-term use. Here’s how to do that with AWS Lambda and Amazon Kinesis Firehose. Don't Use the String Concatenation 'Trick' in SQL Predicates — When concatenating strings in SQL, take care that you’re including the right delimiters as well or unintended consequences could occur. 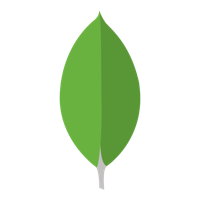 How to get started with MongoDB — We put together a hub of our most popular resources to help jump-start your understanding of MongoDB. Check it out today. The Simplifying Power of SQL Views in Data Reporting — A powerful way to build an in-database reporting layer is to create views, an abstraction that can greatly simplify queries and enhance the accessibility of data. Set Theory: The Method to Database Madness — If you’ve not formally studied math, you might find this primer on set theory (and how it relates to databases) useful. Six Things to Know About Securing Your Database — Whether you store secret government information or standard user data, you don’t want some unknown person to access to your database. The Struggle for Hegemony in Oracle's Database Empire — Oracle and MySQL are fighting it out in DB Engines’ rankings. Only a Fraction of 160 Zettabyte 'Datasphere' to Be Stored — The Internet of Things will contribute to 10x more data being produced in 2025, claims an IDC report. Breaking the WiredTiger Logjam: The Write-Ahead Log — A series digging into the WAL of MongoDB’s newest storage engine. MySQL's Evolution From 5.6 to 8.0 in 42 Slides — A quick tour of what’s changed along the way. That Giant Sucking Sound? Hadoop Moving Into The Cloud — Companies like Google and Amazon are tripping over themselves to pick up people tired of running Hadoop locally. The Big Old Reliable Elephant: Talking About Postgres with Craig Kerstiens — An interview covering the benefits of Postgres over other databases. High Available and Scalable Open Source Database - SiriDB — SiriDB is robust, fast and has a unique query language that makes it easy to create charts for your application. EVM: A Simple Elasticsearch Version Manager — So simple that it’s really just a bash script. Tad: A Tabular Data Viewing App for macOS — View CSV-style data in a data grid which can also be used as a pivot table. Pilosa: A Distributed Bitmap Index, Powered by Go — An open source, distributed bitmap index system for accelerating queries across massive data sets. Intro here.